Many Manitobans, and hockey fans in general, rejoiced earlier this year at the announcement that the Winnipeg Jets were coming back to the NHL this coming fall. Weakerthans frontman John K. Samson was among those who cheered for the team's return. That is, until he saw the team's revamped logo. In an editorial in the Winnipeg Review, the musician shared his concerns over the team swapping out the classic airliner motif of the original logo for a sleeker look based on the old Canadian Air Force emblem. While he admitted he was initially excited to follow the new team, despite missing out on seasons tickets, the new logo's militaristic implications rub him the wrong way. "Inspired by a CF-18 fighter jet, it attempts to tie our professional hockey team directly to the Canadian Forces base here in Winnipeg, a link that was invented in the boardroom of the new team owners, True North Sports and Entertainment," he wrote. "Sports teams, of course, often have military implications to their names and logos, and sport as war is an understandable if overly simple simile, but I can't think of another team anywhere that has attempted to attach itself as blatantly and directly to an existing, contemporary arm of the military. 'Bombers,' and 'Raiders,' for example, are vaguely militaristic names with somewhat militaristic logos. 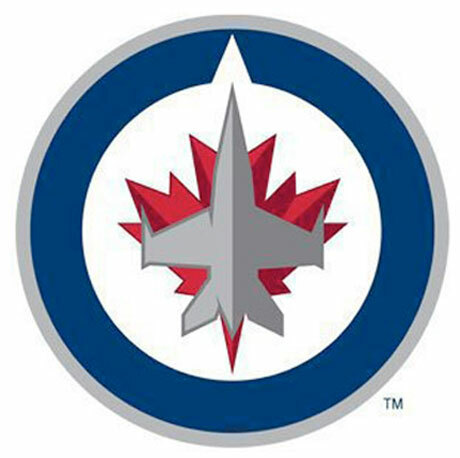 The Jets new roundel is a recruiting device for a specific branch of the Canadian military. There is an obvious and massive difference there." One of Samson's concerns is that the team's new look splits up two distinct groups of people rather than rallying them behind the sports team, effectively putting off fans that aren't as inclined to support a war effort. "Where does that leave those hockey fans that feel varying degrees of otherwise?" he questions. "The new Jets logo will tell some of us that we simply aren't welcome at the rink." Samson isn't the only Winnipeg punk to question the good old hockey game. His former bandmates in Propagandhi pondered sports commentator Don Cherry's alleged jingoistic war-mongering on their "Dear Coach's Corner," from 2009's Supporting Caste.